Washington Bikes board member John Pope spent the summer researching route options for USBR 10 in north central and northeast Washington. He reports on his progress in this blog post. 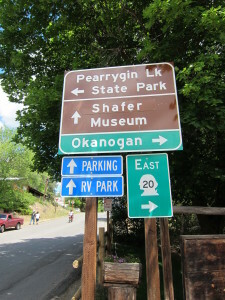 Now that the USBR10 route nomination is settled through Skagit County, I packed bike, maps, computer and note paper and left to explore Okanogan and Ferry County sections. On the way I visited with National Parks folks and US Forest Service folks, mayors, chamber directors, trail managers and touring cyclists to get a first impression of the route through north-central Washington. I had hoped to kick off north-central Washington with an organized meeting of municipal road managers/engineers/planners in Okanogan County, but we were unable to get that to come together in August (duh, vacations affect us all!). I was fortunate to make it over Rainy Pass/Washington Pass less than a week before the first of two slides shut down the North Cascades Highway during August and September. • A great discussion over a bike repair stand with the mayor of Winthrop (he owns the bike shop near the Winthrop Barn at the west edge of town). He said, “You know there aren’t many options to consider here.” In a five minute discussion we agreed on the best route from Mazama to Twisp, taking advantage of two low traffic back roads. 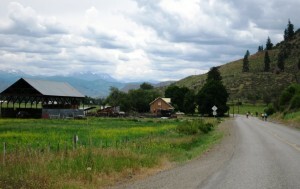 Winthrop-Twisp Road offers scenic, low-traffic cycling. • Nice riding in Twisp on the Twisp-Winthrop Eastside road and the Twisp-Carlton (westside) road (this section could be part of an alternate route). • Long conversations with the Okanogan city councilman running unopposed for Mayor. Okanogan’s pleasant Lions Park along the Columbia River makes a great camping spot for touring cyclists. We liked following SR215 to old downtown Omak before cutting to the east side of the river at the Stampede Grounds. • Met a true Trail Angel in Tonasket. Linda Black, director of the Tonasket Visitor and Business Resource Center next to city hall, allows cyclists to camp on the center’s back lawn. The restroom, open all night for campers, has warm showers and the site has WiFi! The campers help stimulate local business and from their registration comments certainly appreciate the town’s hospitality. What a great idea! • Found some of the most unusual and beautiful country roads in the state while checking on alternates to the Tonasket – Republic stretch on SR20. Havillah, Chesaw, Toroda contain breathtaking “lost in time” stretches and back country splendor with few visitors. • Rode the Boulder Creek Summit alternate to Sherman Pass. Nearly zero traffic on this forest service road. Not as scenic as Sherman, but not as much elbow burn. 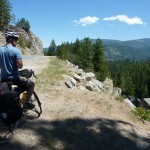 • Fell in love with the Pend Oreille River byway, Le Clerc Road from Ione to Newport/Old Town. It has three FS campgrounds, pleasant and swimmable. USBR10 is not for the faint of heart. You cover roughly 450 miles and have to negotiate four passes and two major summits. You must be prepared for long distances between water sources, western side wet and alpine weather to eastern side dry heat, seasonal and slide-induced pass closures. But the rewards are incredible. 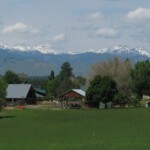 Beautiful North Cascades vistas, refreshing rivers, quiet country towns and friendly residents come with this special territory! This article was posted in Economic Impact, News, Okanogan County, Stevens County, Tourism, Travel, USBRS. Bookmark the permalink. Follow comments with the RSS feed for this post. Both comments and trackbacks are closed. How do we find out what the route will be through Skagit County? 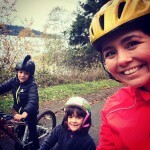 Kit: We asked John to do a follow up post that gives an update on the Skagit section. Look for it in coming weeks.